Here at GigMasters, we love quotes. And not just the "free quotes" that our vendors submit to interested clients...but the testimonial kind as well. 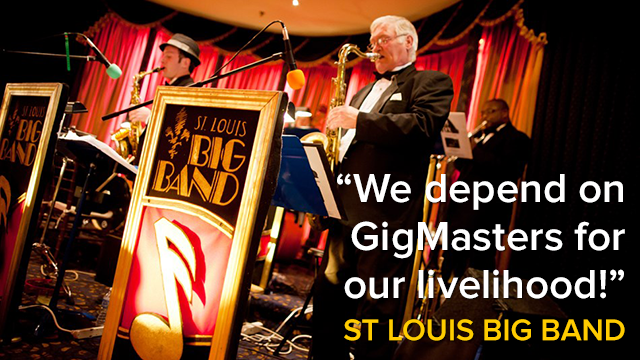 Here's a new one that just came in (as comment on this very blog) from The St. Louis Big Band. It's short, sweet, and stands out as a reminder of how meaningful our website is to our members. If you have any stories or #giglove to share, let us know below!